I have a LARGE family. Luckily, I am constantly making something new and different to give as gifts. If you are looking for that perfect baby gift for a friend or family member, look no further! Here are some great baby gifts for both boys and girls. All babies need a little security blanket! These are the perfect size to also use as doll blankets. So, when the baby girl grows up, she can use her blanket for HER baby. 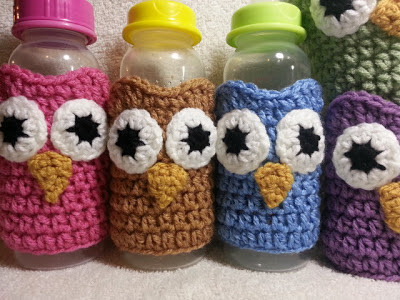 These precious little owl sleeves fit perfectly on most standard sized baby bottles. These make a great gift when you just don't know what to buy. They are unique and can't be bought in any store. Add them to purchased set of bottles to make a complete gift set. They come in 5 colors. All precious little girls need a pinafore! Or, in this case, a pinafore style sweater. This one has a front opening with buttons at the top. It comes in several colors and three different sizes. Who doesn't want a handmade sweater?? For those of you who crochet, I have this pattern for sale. Receiving blankets are always a great gift. You just can't go wrong with one. If you are looking for a color that is not listed, just let me know. I more than welcome custom orders. I love this particular blanket for its shell stitch pattern. These blankets are durable and will last for years! 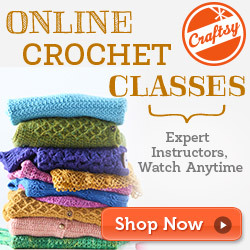 For those of you who crochet, I have this pattern for sale. Now... check out these adorable little baby shoes. What a great way to announce a pregnancy to family members (I actually had someone buy a pair for that)! These are just too cute to pass up. Give them as a gift or add them to gift wrap packaging. These comes in different sizes and colors... For those of you who crochet, I have this pattern for sale. 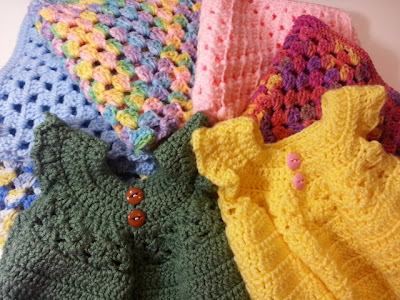 These are just a few unique handmade items that make the best new baby gifts. 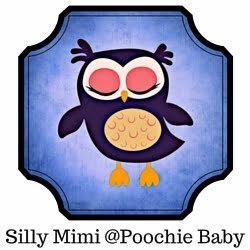 You can visit my shop on Etsy to see other items for sale. I also have many items for adults and crochet patterns for sale. Be the one who gets the oh's and awe's at the next baby shower! Everyone loves handmade gifts and they show a special thoughtfulness when given..... And believe me, I love making these gifts for others.